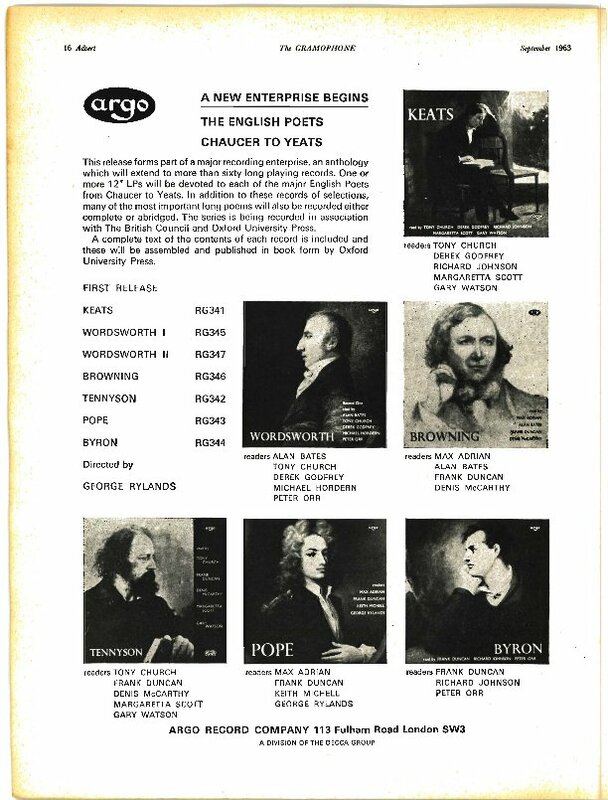 A lot more of the marathon effort to issue recordings of all of the Shakespeare plays, plus the beginnings of a major new series of recorded poetry, The English Poets – Chaucer to Yeats. Spoken word in yellow, classical recordings in grey (releases from the Paris label Erato in white) – and a sole miscellaneous item (The Barrow Poets) in green. RG 319 Hubert Gregg Jerome K Jerome – Three Men in a Boat/Three Men on a Bummel (excerpts) 1964? ~ by folkcatalogue on March 23, 2010.
cheers for that. hadn’t heard about the decca re-releases of spoken word albums. would be really good if that included the brathwaite albums. i haven’t been able to afford them when they’ve come up on ebay. can you let me know if you hear any more?